The 9mm is a very commonly used weapon worldwide. Handguns are frequently used for self-defense and are also carried by military and law enforcement officers when in the field. Handguns are convenient to carry, easy to conceal and can be reloaded quickly when needed. The 9mm is one of the most popular semiautomatic handguns in the world. There are many different makes and models of 9mm weapons for professional law enforcement or your private use. The 9mm Kurz is known as a 9mm Short. It is useful for firing indoors when ear protection is not available. While the weapon still has the potential to cause hearing damage when discharged, its noise and recoil are considerably less than many other 9mm models. The 9mm Kurz will not penetrate body armor. Hollow-point ammunition is recommended if the gun is used for hunting or self-defense. The gun is suitable to stop animals under 50 pounds at close range. The 9mm Parabellum is also known as the 9mm Luger or the 9mm NATO. It is the most commonly used military sidearm in the world. The high sales volume of the weapon makes ammunition much cheaper and easier to get. This model will penetrate some body armor but, like most 9mm designs, lacks the stopping power that larger-caliber weapons deliver. Using special ammunition can offset this somewhat, but standard ammo should be sufficient for animals up to 150 pounds at close range. The recoil of the gun can be substantial. CZ weapons are built by a Czech company. They have been imported into the United States ever since the fall of the Soviet Union. 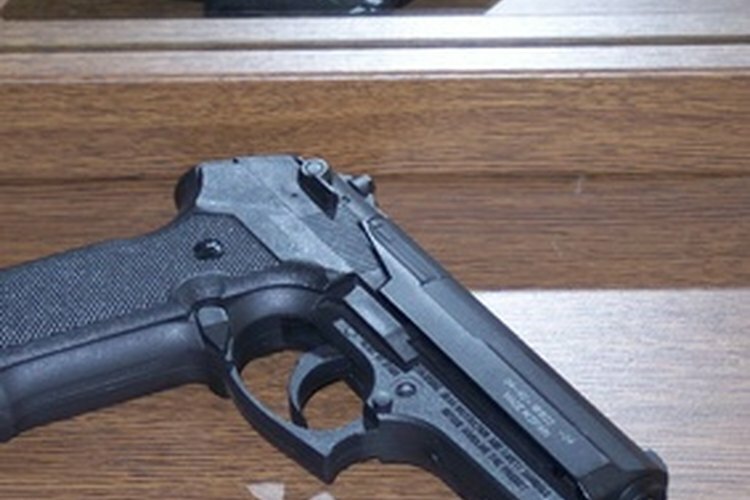 The CZ-75B is a 9mm gun known for cost-effectiveness. It is usually one of the lower-priced 9mm models on the market and has a reliable reputation. It was designed as a military sidearm and has a simple design without any peripherals. The gun is made out of steel and is usually coated in black polymer finish. The standard grip is hard plastic but rubber covers can be added for more comfortable handling. The gun has very good accuracy and can fire multiple brands of ammo without jamming. Michael Davidson started writing screenplays in 2003 and has had a screenplay professionally produced. He has also studied martial arts since 1990 and has worked as a licensed security specialist. Davidson has written articles for various websites. He is a graduate of Michigan State University and holds a Bachelor of Arts in advertising. Copyright © Leaf Group Ltd. / Leaf Group Lifestyle, all rights reserved.